allegheny.edu / Admissions / Apply / Why Test Optional? 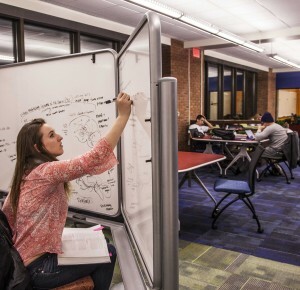 Allegheny embraces the concept that standardized test scores do not exclusively reflect your full range of abilities or potential to succeed in college. We want to engage every prospective student who has the potential to be a great student in our classrooms. Mounting evidence indicates that high school performance—as measured by rigor, grades and/or class rank—and less quantifiable factors, such as character, determination and love of learning, are the best indicators of success in post-secondary education. Giving students the option of providing test scores gives them the opportunity to showcase their greatest strengths. Research also shows that test scores can reflect socioeconomic factors more than actual readiness for college. Giving prospective students the option of submitting test scores continues to demonstrate a commitment to educational access and equity that has been a hallmark of Allegheny. Students who apply for admission will not be required to submit ACT or SAT scores with the application. The Admissions staff will focus on other important indicators—overall high school performance, character, determination, and love of learning. Test scores are just one of the many factors that we will take into consideration as we get to know you better. While we are test optional, we encourage applicants for admission to submit their test scores if they feel the scores are an accurate representation of their potential for success at Allegheny. While the SAT test may have changed, Allegheny’s commitment to its test-optional policy remains. 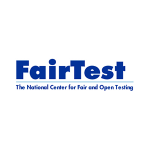 Standardized Test Scores remain a requirement for Non-US citizens and Non-US permanent residents. Note that it is not necessary to send your scores via SAT or ACT if you confirm with your school that your test scores are included on your high school transcript. Allegheny encourages home-school applicants to take either the SAT or ACT no later than January of the final year of high school. If you do not submit ACT or SAT scores an admissions interview may be required.